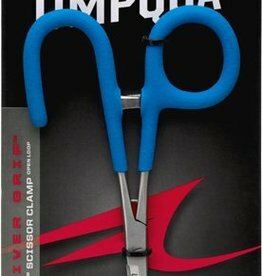 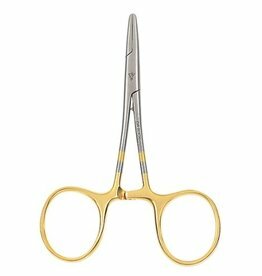 The smooth jaws of this ultra-fine clamp, whether straight or curved, will crimp barbs down to size #26's. 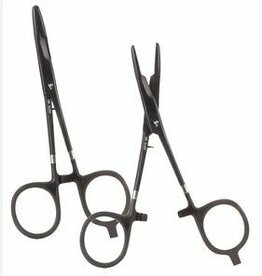 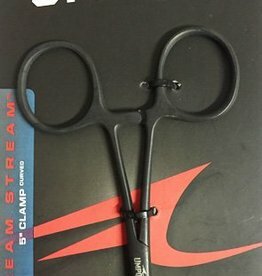 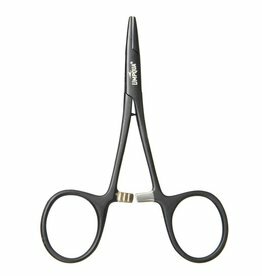 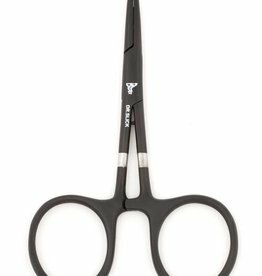 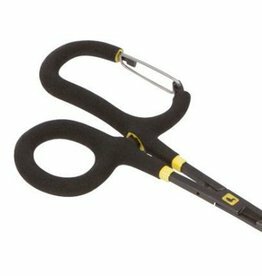 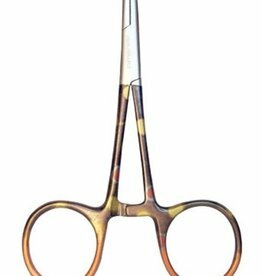 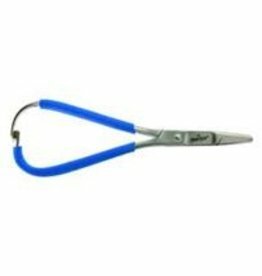 The workhorse and first choice of guides, this beefy scissor clamp will crimp barbs, cut line or even a small branch to free snagged lines. 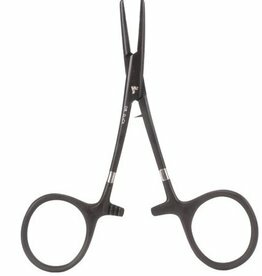 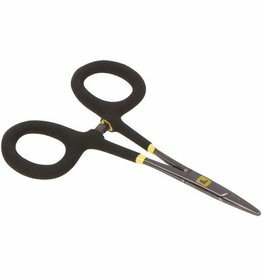 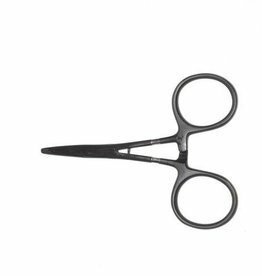 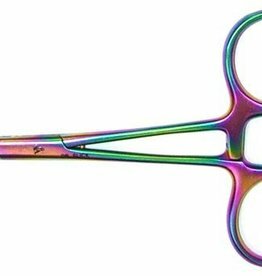 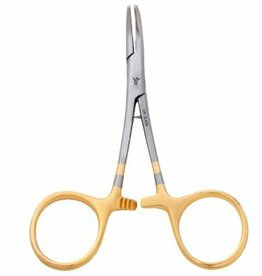 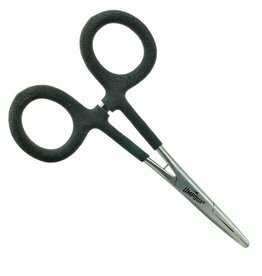 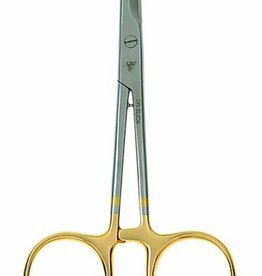 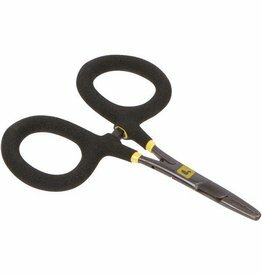 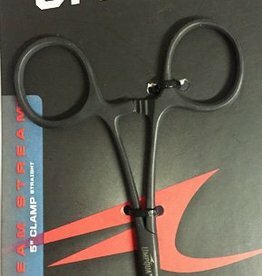 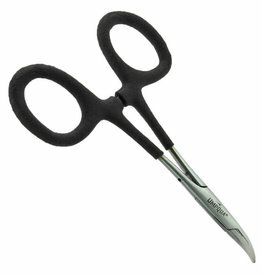 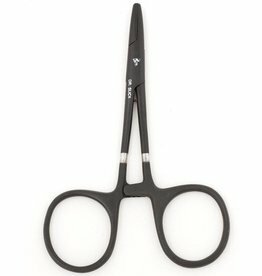 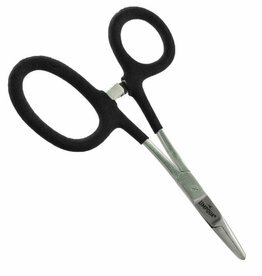 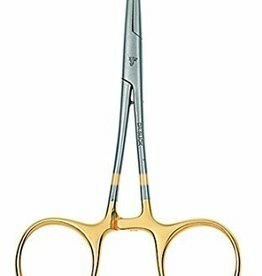 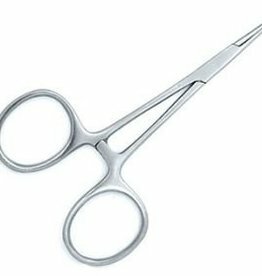 LOON OUTDOORS ROGUE MICRO SCISSOR FORCEPS - 4.25"
Umpqua's River Grip 5.5" Ultra Mitten Clamps don't require the use of your fingers, letting you keep your mittens on when fishing in cold weather.